This is the first in what will be a series of articles, for those of you who may be confused by the complexities involved in the schism over the Ecumenical Patriarch's move to unilaterally establish an autocephalous Church in Ukraine. Ukraine is not a side story to the history of the Russian Church. 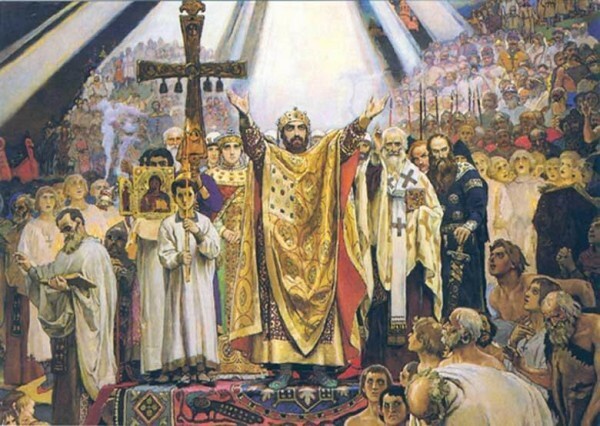 The Russian Church began in what is now Ukraine. The Rus' were a Slavic people who were ruled by Vikings, and the result was a Slavic nation with some Nordic elements thrown into the mix. 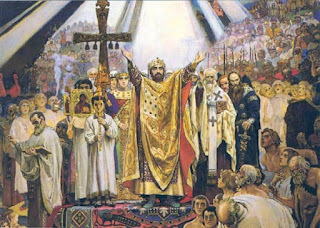 The roots of Christianity go back much further, but the Rus' became a Christian nation in the year 988 after St. Vladimir was first baptized, and then the people were baptized as a group, in the Dnieper River. 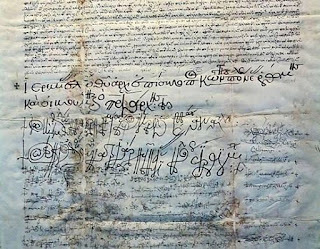 At that time, the bishops and priests that came to Russia were all Greek, and were under the authority of the Patriarch of Constantinople. Why did Russia become independent of Constantinople? It was not because the Russians were fueled by nationalism, but because Constantinople fell into heresy, and then the Byzantine Empire itself ceased to exist. Surrounded by the Turks, Constantinople appealed for aid from the Latin West. The price of that aid was submission to the Pope, and at the false Council of Florence (1439), the Orthodox delegates, with the exception of St. Mark of Ephesus, were finally bullied into accepting Rome's terms. When Metropolitan Isidore returned to Kiev with the news, both he and the false union were rejected. And so the Russian Church became independent for the simple reason that the Patriarch of Constantinople had become a heretic. After the fall of Constantinople to the Turks, right believing Orthodox bishops were restored to the Church there. 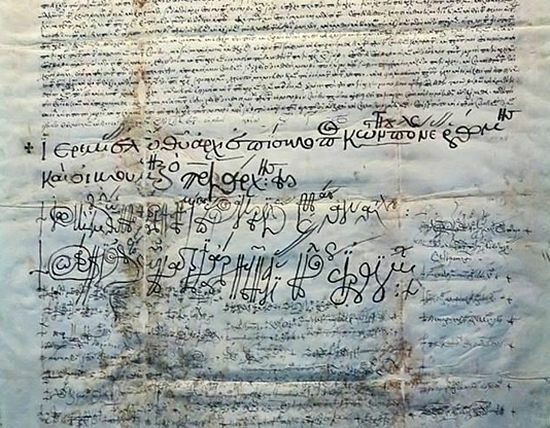 The Russian Church remained independent, and in 1588, the four ancient Patriarchs recognized that independence, and raised the Metropolitan of Moscow to the rank of Patriarch, and listed him as fifth in rank, after themselves. The claim that Constantinople retained control over Kiev, and that this was just a temporary "loan" is complete nonsense. In legal theory, there is a concept called "the course of performance." In short, if there is a contract between two entities, and later on, one party claims the other party is not abiding by the contract, one of the ways a judge determines the meaning of a contract is to look at how that agreement has worked out in practice since it went into effect. Prior to the 20th century, the EP never made any mention of having any continuing claim on Kiev or Ukraine. So for nearly three centuries, no one ever seemed to be aware of this notion. Only when opportunities for poaching territory from the Russian Church after the Bolshevik Revolution does this claim first emerge.